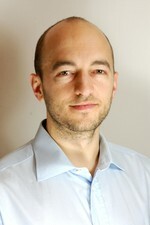 Oliver Reiter is Research Assistant at wiiw. His research focuses on international trade, non-tariff measures in trade, the creation/update of a multi-region input-output database (such as WIOD) and agent-based macroeconomic models. He holds a Bachelor's and Master's degree in Economics, a Bachelor's degree in Statistics and a Master in Computer Science, all from the University of Vienna.